I’ve had the privilege of meeting some interesting people in my career as a writer, both on the news side and now promoting the merits of higher education at Hinds Community College. In the news days, feature subjects of mine ranged from homes built underground to people gaining the ability to hear for the first time. People always “make the story," as the new TV ads from People magazine remind us. Me, I like stories of people who find out they had the right stuff all along to do what they wanted to do despite some self-doubt. Two that come to mind, Dr. Rachel DeVaughan and Carl Mangum, turned in their keys to the cash register in foodservice to pursue and fulfill their dreams. 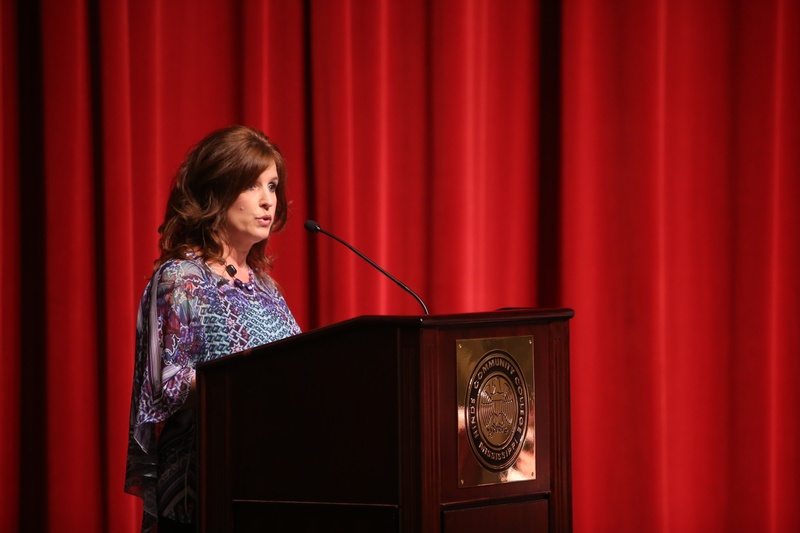 DeVaughan spoke at this year’s GED ceremony at Cain-Cochran Hall, in June. Today, she’s the Adult Basic Education program specialist for the Mississippi Community College Board. But yesteryear, she was a divorced mother of two pushing 30 years old with only a GED and running out of rungs to clear on the McDonalds corporate ladder. For Mangum, a Hinds alum, it was a similar epiphany. 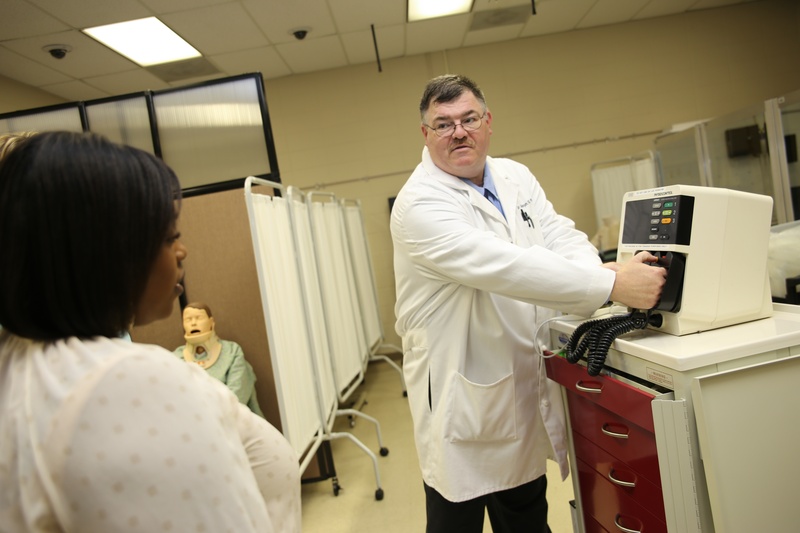 He’s a professor at the University of Mississippi Medical Center School of Nursing I interviewed for the summer edition of our alumni magazine, Hindsight, one that recognized the 50th anniversary of Hinds’ Associate Degree Nursing program. And as the headline says, he went from hamburgers to healthcare. Quick aside on Hindsight. 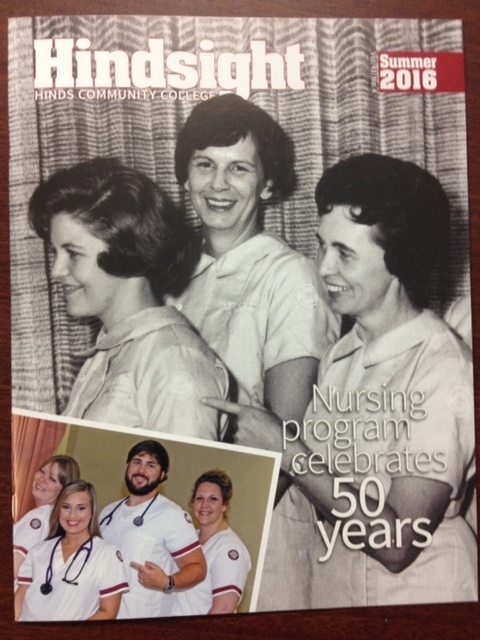 The cover of that issue gave a nod to the past and present in the ADN program. The old black-and-white photo submitted to us went to press without its subjects being identified, as not even the oldest living former instructors knew who they were. All we knew for sure, given the hairstyles, was that it must’ve been from the late 1960s. Any assumptions of both older ladies being instructors was blown up with one email. The one in the middle is Geraldine Blair, who attended the program during the time we thought. Older students, apparently, aren’t just a 21st century thing. Todd Barnes, 43, is another older student who strives for the same, in another field of study. I met him during a visit to the college’s brand-new diesel technology training academy in Richland. 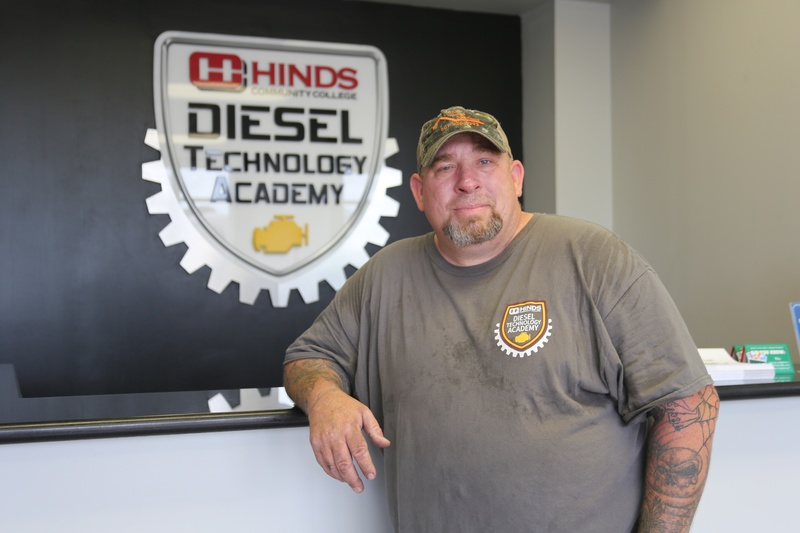 The father of two teenagers is studying to take his skills as a diesel engine mechanic to another level. To double back to the GED ceremony for a moment, there’s also Susan Brown. 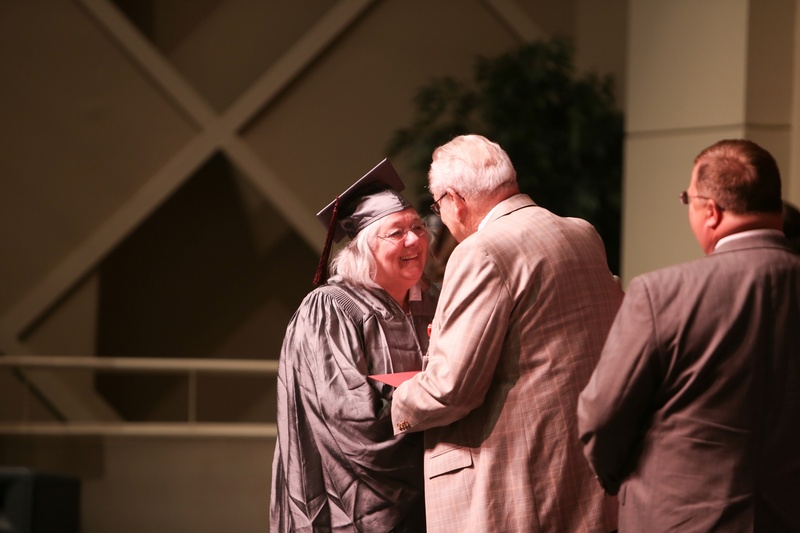 At 60, the longtime Hinds employee in Admissions, was the oldest student to be recognized for receiving her certificate – from Hinds President Dr. Clyde Muse personally, matter of fact. She credited Dr. Muse’s late wife, Vashti, for being an early cheerleader for her finishing up. These insights, as grand as they are, don’t measure up to whenever the same story plays out in your own family. A cousin of mine, at 32, earned her Licensed Practical Nurse credentials last year, from the Delgado Charity School of Nursing in New Orleans, where I attended community college. And I sense she’s taking it a step further, with her RN bona fides on the way. I’m quite proud of her for weathering life’s high tides and sailing smoothly to a new career. The lesson here? That it’s not too late for anyone to rewrite the headline in their own life's story.